It is rumored that Islamorada is home to a larger fishing fleet per square mile than anywhere else in the world so it’s only natural that islanders stake their claim to the nickname “sport fishing capital of the world.” This tropical paradise has the largest charter fleet available anywhere for both back-country and deep-sea excursions to fishing grounds unparalleled in the world. Here, world-class captains leave right from our docks. 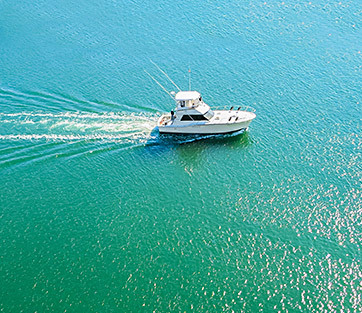 Whether you’re an experienced angler or baiting your first hook, our captains can take you anywhere – from the Atlantic shoreline to the mangrove-lined bays and canals of the Everglades in search of a trophy-worthy fish, including dolphin, yellowtail, bonefish, redfish, tarpon and sea trout. From deep-sea fishing to fly- and spin-fishing, we know these waters well. 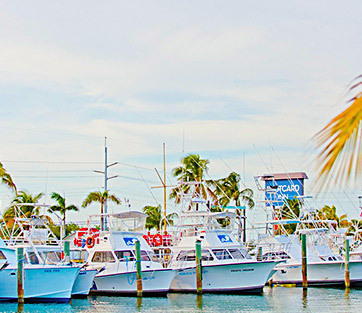 The Postcard Inn’s world-class Marina offers 19 slip for guests, as well as access to the world’s best fishing captains, who operate the largest fleet of offshore and backcountry fishing charters in the region. 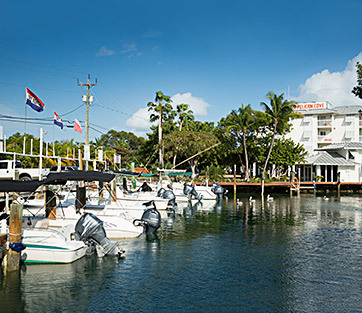 A favorite for fishing tournaments, this full-service marina offers certified diving instruction at the Islamorada Dive Center, as well as sunset cruise and snorkel excursions. The marina accommodates boats of up to 100 feet at rates of $3/foot, inclusive of water, electric, WiFi and resort amenities. La Siesta’s 24-slip small craft marina is ideal for short stays. Priced $2/foot, per day, it can accommodate boats of up to 30 feet. See the front desk for reservations, ice and sundries. No hook-ups for electricity or water. 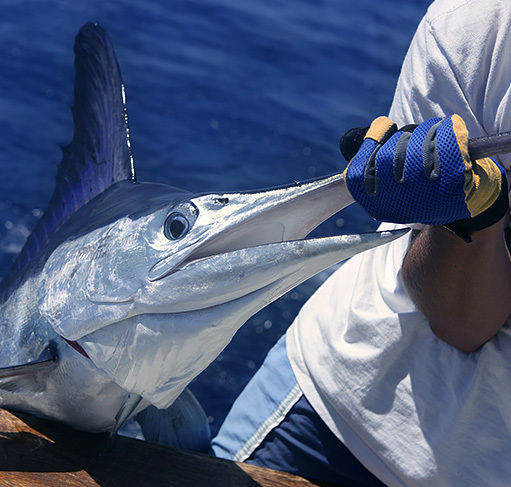 A true one-stop shop, Pelican Cove Marina features fishing charters with experienced captains, slip rentals, and fishing and boating essentials at neighboring Abel’s Tackle Box. Priced $40 per night, the slips can accommodate boats of up to 22 feet; larger boats require two slips. Reserve in advance.